In August of 2016, we at Loop Christian Reformed Church ("Loop Church") in Chicago helped support a Syrian refugee family in their move from Jordan to Chicago. It was our small way of living out God's call to love our neighbors and welcome the stranger. We raised financial support, greeted the family at the airport, and visited them weekly for over 6 months. 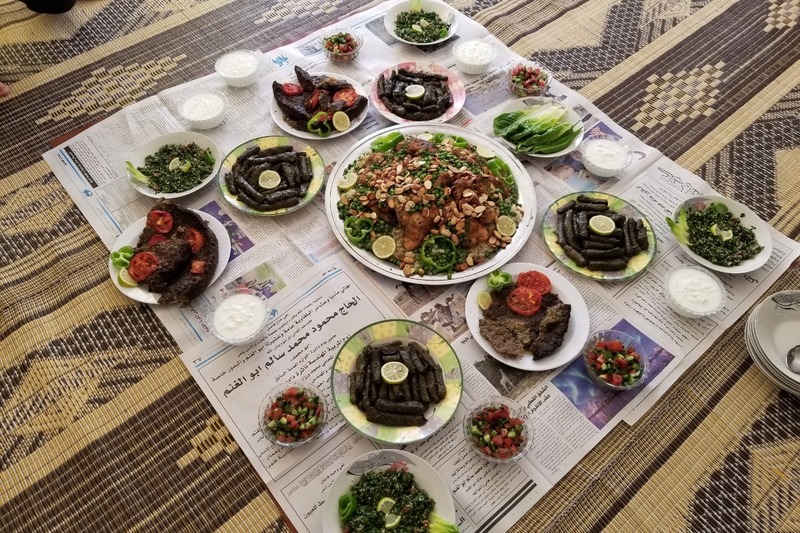 On our first visit, we barely knew each other, but the family immediately and consistently welcomed us to their table to share a meal with them. While we expected relationships with our new refugee friends to be important, we could not have predicted how transformative they would be. We consider the family to be dear friends. Their joys are our joys, and their sorrows are our sorrows. In October 2017, our friends asked if we would be able to help one of their sisters and her family, currently living in a Jordanian refugee camp, come to North America. The sister has many health issues that are exacerbated by conditions at the camp. She has 2 young children, an older son and a daughter-in-law with her in the refugee camp. The request felt weighty and impossible, given the current antipathy in the United States regarding refugees. 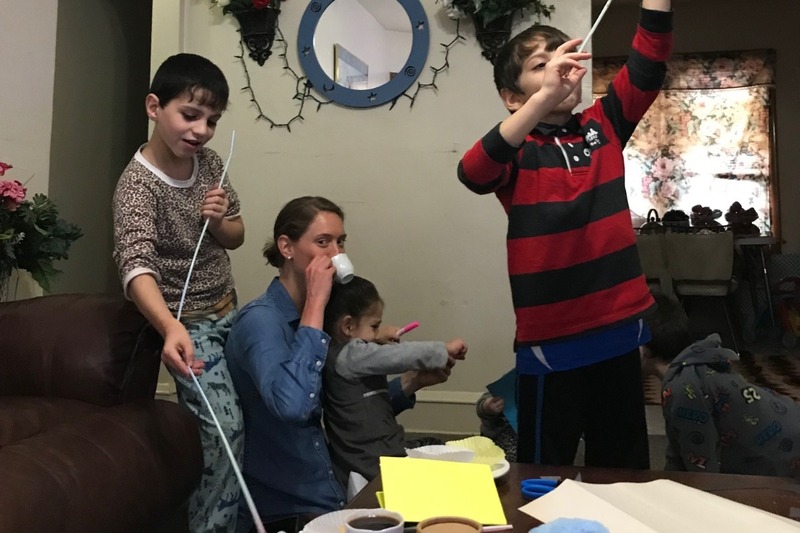 With the assistance of World Renew, however, we were connected with Sonlight Christian Reformed Church (CRC) in Regina, Saskatchewan, where our Syrian family happens to have another sister already resettled with her family. Our Canadian brothers and sisters in Christ have sponsored a refugee family in the past, and just recently have made the commitment to do so again, agreeing to sponsor our Syrian friends' sister and her family! In the Canadian refugee resettlement system, a private sponsor, such as a church, fills the role that a resettlement agency would in the United States. Sonlight Christian Reformed Church (CRC) has made the commitment to be responsible for initial resettlement, finding housing, enrolling the children in school, and the many other tasks essential to successfully starting over in a new country. To do this, Sonlight CRC needs our help. The costs of sponsoring this family of five are estimated to be approximately $40,000 Canadian Dollars which is about $31,000 US Dollars. 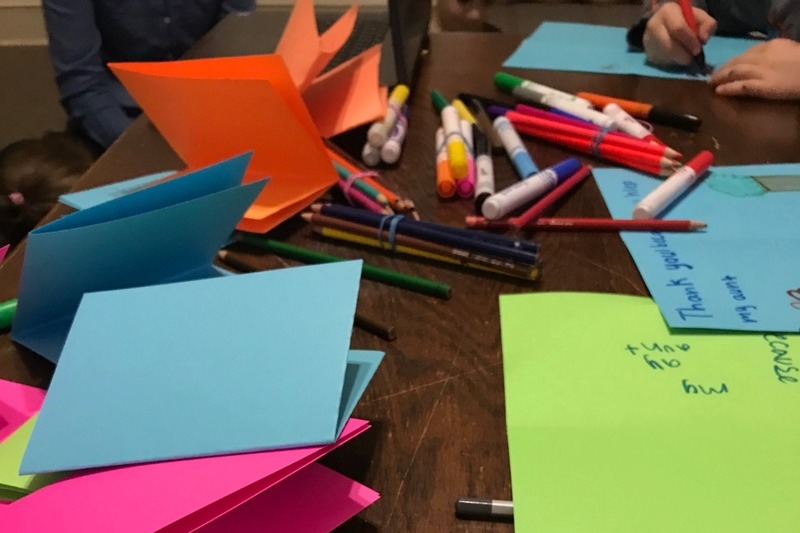 Our missional community at Loop Church, Welcoming the Stranger, has made a commitment to provide this funding for the family of our Syrian friends. To fulfill this commitment, we need your help. World Renew Canada will be able to submit an application for this family in February 2019, but to do so we need to have a significant amount of that total already raised. We at Loop Church have the incredible opportunity to partner with Sonlight CRC to live out our faith, serve the vulnerable, and forever change the lives of a family currently stuck in a Jordanian refugee camp. Because our friends mean so much to us, we want to commit to supporting Sonlight CRC, financially and in prayer. $31,000 is an awesome amount; however, we serve an awesome God. Would you consider joining us in this commitment and making a financial contribution? Every little bit helps! Note: Names and photos are withheld for the safety of the family; however, we are happy to share more details privately with friends and family. Hello, friends! I am so thankful for you all. I am thrilled to let you all know that we have (unofficially) met our goal with these funds plus funds that have come directly to our church. Praise be to God! I am slow to close this fundraiser simply because we are still waiting to see what final numbers come from different places and what credit card fees and currency exchange fees will be. Thanks to all of you, and we will keep you posted when final numbers are figured out! Either way, all funds will go to Sonlight CRC who will use the funds directly for the resettlement of this Syrian family. Again, I am so thankful for you all. May God bless you richly, and also happy new year to you! I am overwhelmed and so thankful for your generosity! With donations that have gone directly to our church, I recently found out we are at 16,745 which is over 50% there! We still hav quite a bit of money to raise, but I wanted to take a moment to pause and say how thankful I am for each and every one of you. If you are interested in periodic updates on our refugee friends’ journeys through the process, fill out this form: https://goo.gl/forms/EaFOHt4GsNZ74QEA3.